Herbert Newman has been appointed as an Advisory Board Member for U.S. Bank’s Middle Market Commercial Real Estate Group. 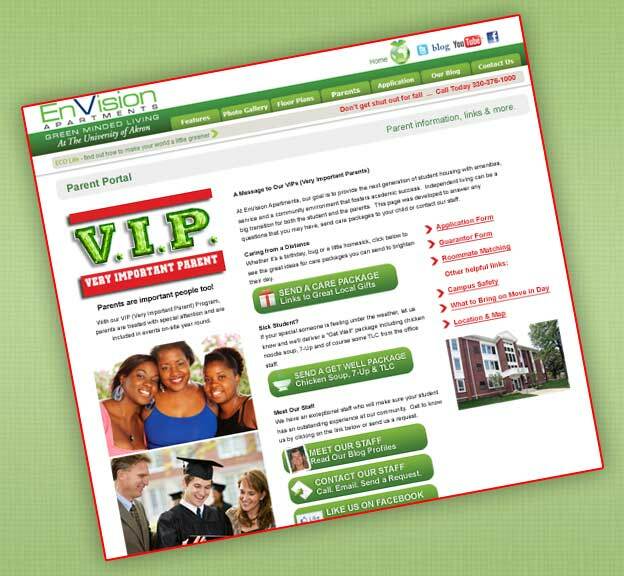 Summit Management’s Envision Apartments has implemented a parent’s page on it’s website, www.envisionapartments.com to help engage parents in the student housing decision. On this new V.I.P. page, parents can have their questions answered, send care packages, and most of all, be involved.